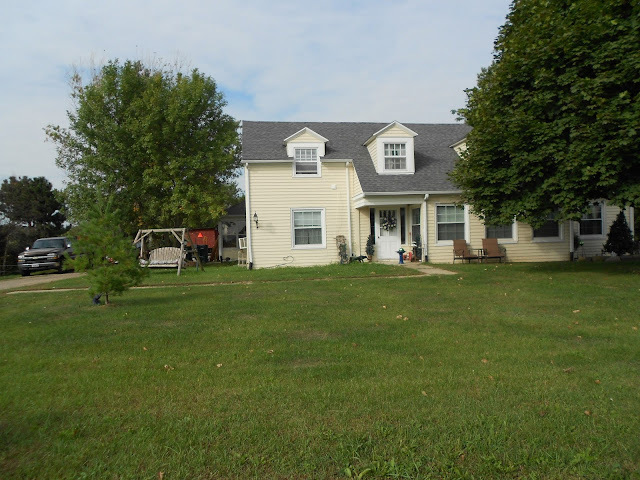 During our 2011 vacation to Springfield, Illinois and surrounding states, we had one day in Dane County, Wisconsin searching for Natvig and Leland homes and graveyards. I wrote about it in Day 12 on the Seaver Midwest Genealogy Tour (posted 17 September 2011). 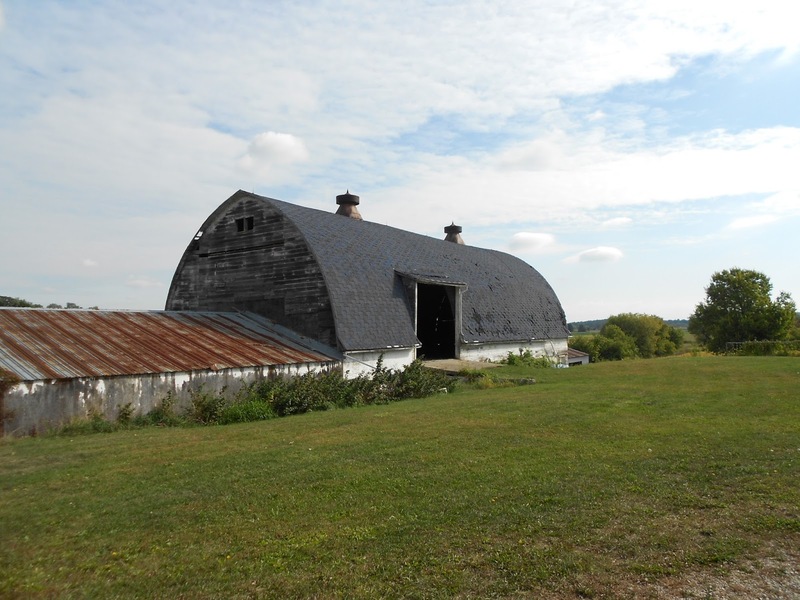 We left Madison in the morning for the short trip to the Town of Cottage Grove to the southeast where I had determined that the Elling Ericksen Natvig family had resided. Elling Natvig and his wife Anna Ellingsdtr were my wife's second great-grandparents. "We left the Super 8 in Madison around 9 a.m. and headed for Cottage Grove, where her Natvig family settled in 1862 and lived in Section 28. Using the 1873, 1890 and 1899 plat maps, and then comparing Google satellite maps, I was able to identify where their land was located. 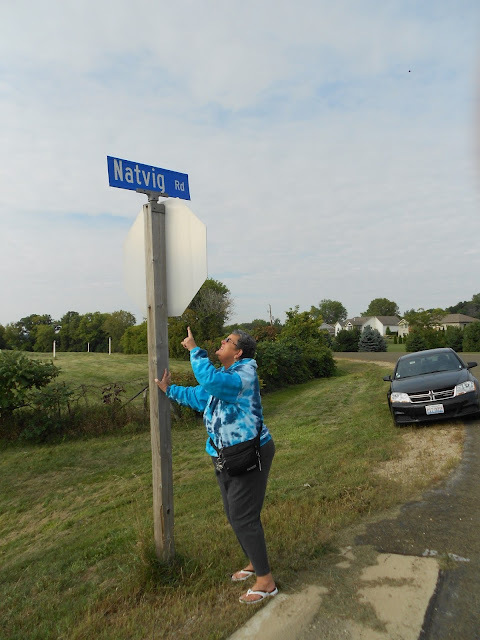 What is now Natvig Road was part of the road south from Cottage Grove to Pleasant Springs town. 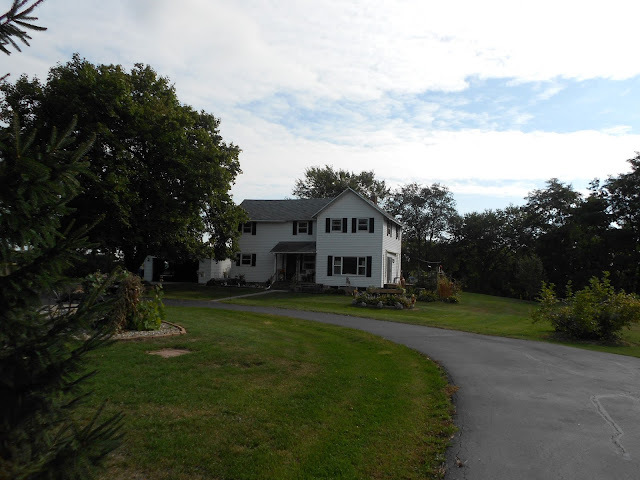 We drove around, and took pictures of some of the houses now on the land owned by the Natvig family. 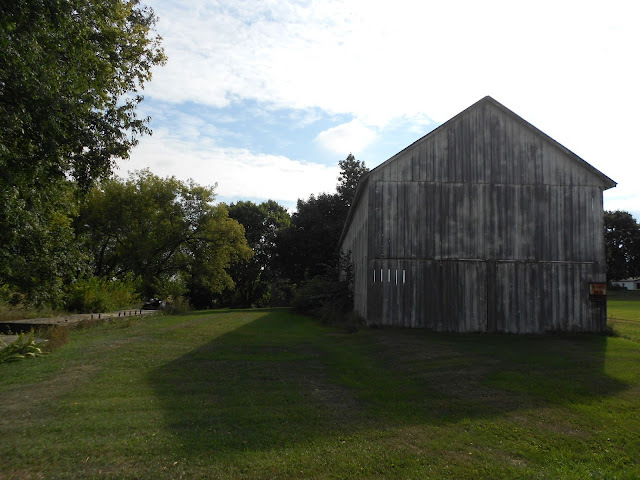 There are many dilapidated barns in this area, but I didn't see any buildings that looked like they were over 100 years old. " Next week we will visit Linda's ancestors buried in the St. Paul's Liberty Lutheran Church in the Town of Deerfield.